We are a manufacturer and supplier of handheld digital ultrasound scanner in China. Based on the advanced technologies abroad and at home, our products have passed the certification of CMD, ISO and CE, and our products have been well received by customers all over the world, such as Syria, Kazakhstan, Kyrgyzstan, India, Pakistan, Iran, Vietnam, and many other countries and districts. 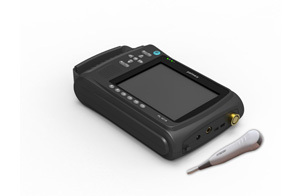 If you're interested in handheld digital ultrasound scanner, please don't hesitate to contact us freely.